Stay in shape in 2018 by working up a sweat at these new NYC fitness classes. It’s easy to get stuck in a fitness rut. If you do work out, you have that one standby class you swear by…and that’s about it. Experts say if you want to get the best results for your bod, it’s a good idea to change up your routine. That’s where these ten new fitness classes come in. 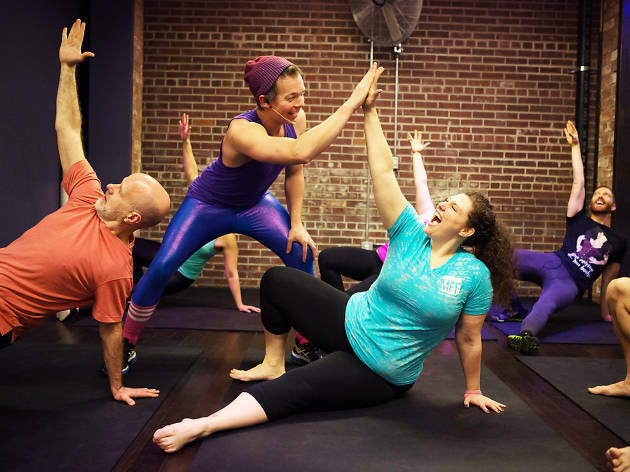 And if you’re looking for more ways to get toned, check out our roundups of the best weird NYC fitness classes, top spinning classes and the best gyms and health clubs in NYC. Slip into your finest leg warmers and embrace self-love while thrusting, twerking and crunching to the beats of Lisa Stansfield, Mariah Carey and Janet Jackson. The high-camp, hyperpositive leader and choreographer Viva builds a diverse, loving tribe of singing and dancing aerobic queens at every class. Are cults supposed to be this fun? 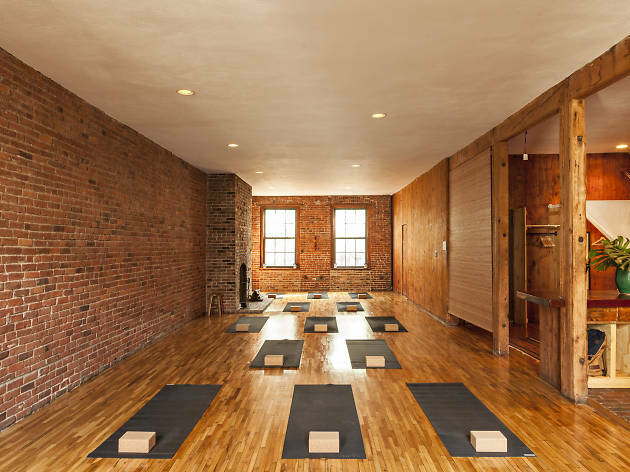 For an ostensibly relaxing practice, yoga classes in NYC often feel crammed and competitive. 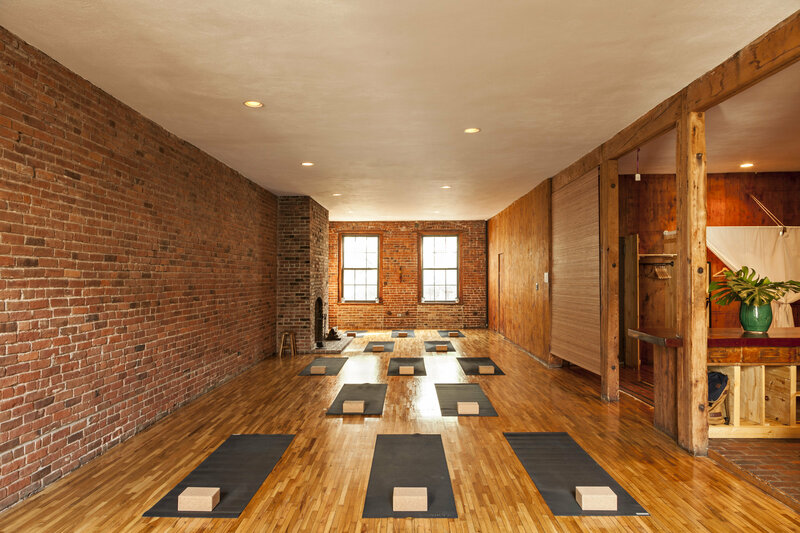 Find your own flow at this stunning, witchy St. Marks space and join the group for individually paced Mysore classes. One-on-one instructors help you through sun salutations and then leave you to get into your zone, rather than barking orders from the front of the room. 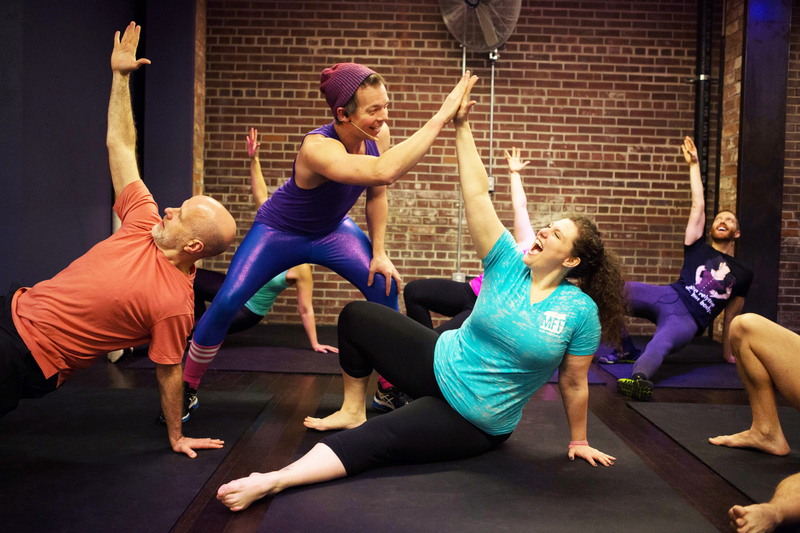 Escape the grim self-seriousness of weight-room culture at this ebullient gym, where you’ll find instructors in onesies, walls adorned with unicorns, and endless high fives among trainers and lifting buddies. 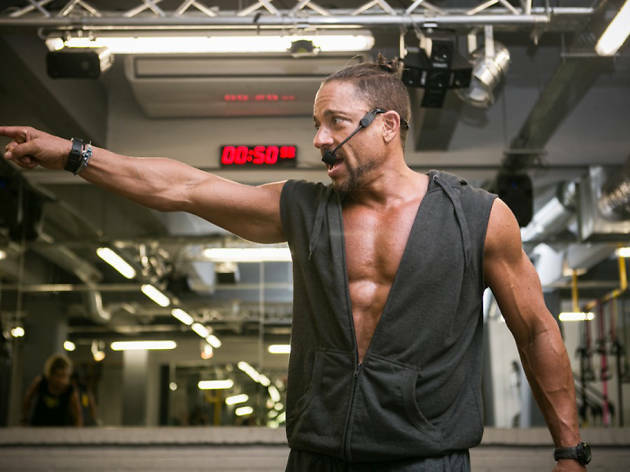 Members, or “ninjas,” can take small, high-energy kettlebell courses, gather with up to three others for semipersonal training, or run the gauntlet with the intense, impactful “Snatched in Six Weeks” program. With no mirrors in the way, you can focus on strength, power and confidence as you learn to glide through the air, work a pole and stand firm on the ground. Courses such as “Pole 360 Wellness” and “Aerial Hoop 360 Wellness” encourage you to master skills like flying downward dog and trapeze mounts, while ground classes help students nail down handstands, core work and basic gymnastics. 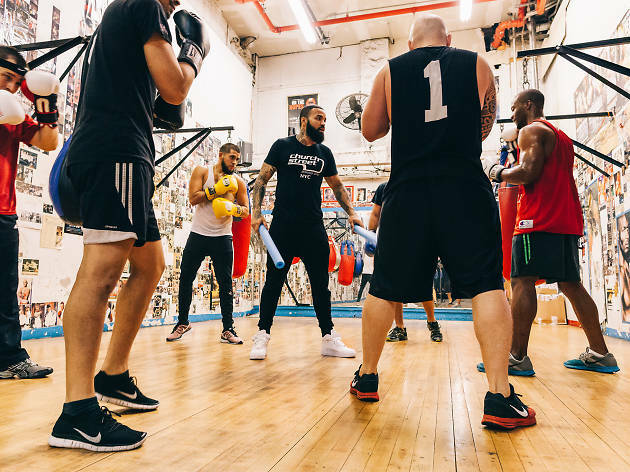 Okay, yes, the class name is confusing—it’s the same as the studio name, get it?—but the concept is simple: boxing at the top, yoga at the bottom. 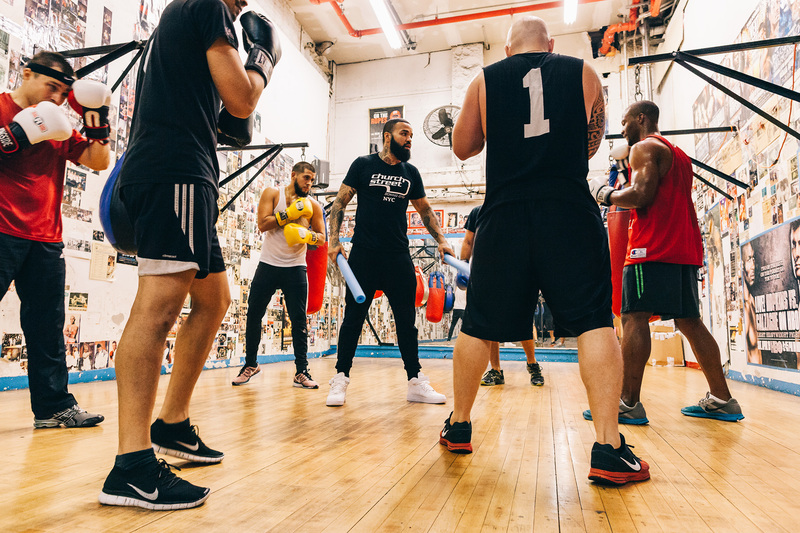 This 50-minute class—which includes a shadowbox warm-up, rumble rounds and a fast-paced flow yoga scored to energizing music from Nirvana, DMX, Bon Iver and Solange—lets you get out your aggression on the punching bags, then calm down by doing downward dogs. Consider it the perfect antidote to Trump rage. 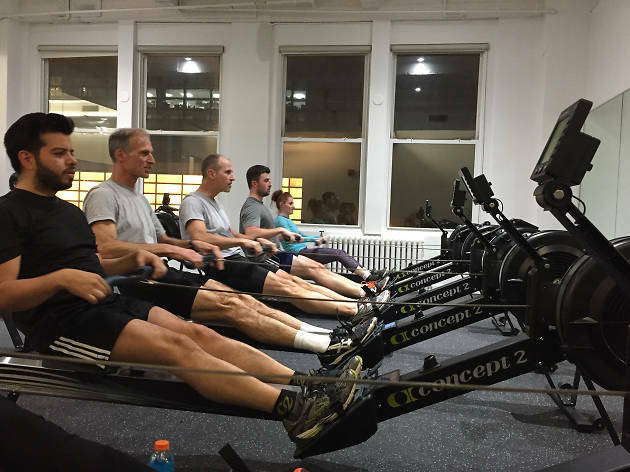 Those looking to join any rowing class at this new Columbus Circle studio must first take Rowing 101, which teaches proper technique and commands. After that’s completed, rowers can sign up for a regular EngineRm, an indoor workout that focuses on group exercise. 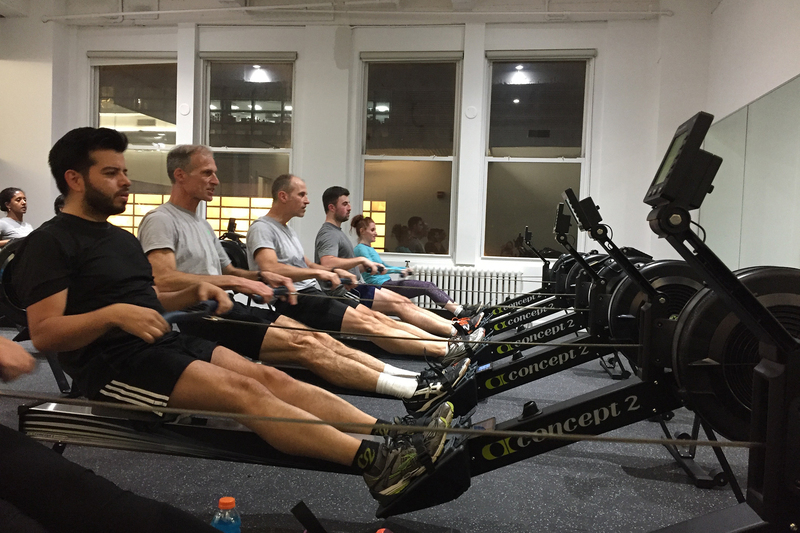 There’s no music in this 12-person class—instead rowers focus on the rhythm of the erg machines and the motivating commands from the coach. Each session is themed around a specific regatta, such as the U.K.’s Henley Royal and Boston’s Head of the Charles. 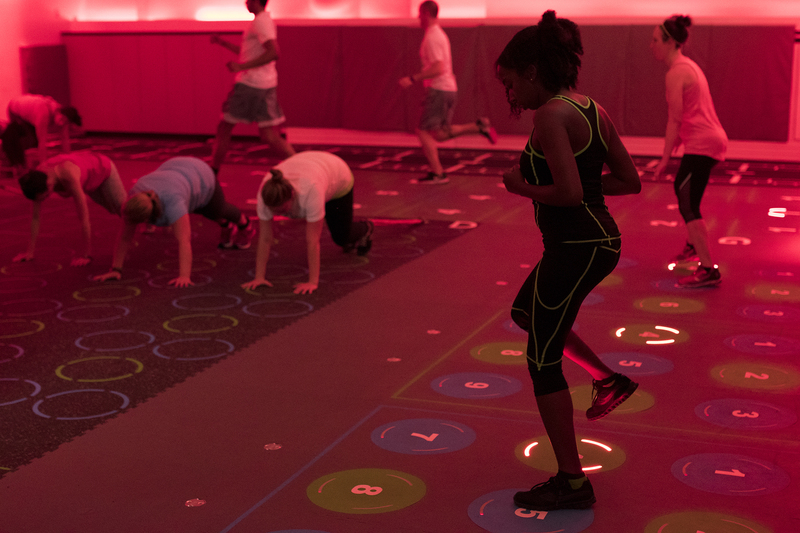 When the studio doors swing open, you’ll be greeted by cheering instructors dancing to an EDM soundtrack in a room filled with laser lights and fog. Party! The energetic vibe takes a quick break for five minutes of yoga flow, but then it picks back up for the remainder of the 60-minute class. The high-intensity, full-body workout includes a course of 20 stations, and at each, you do a difficult exercise (think box jumps, weight lifting, running on a treadmill) for two minutes before switching to the next station where a new challenge awaits. 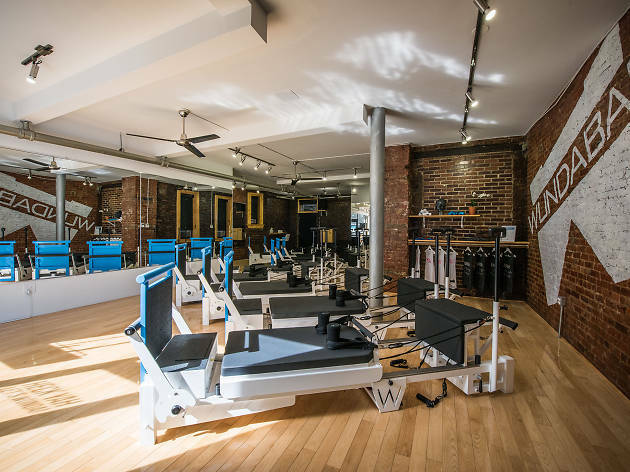 Most Pilates studios use the reformer machine (a benchlike apparatus that employs pulleys to strengthen and lengthen your body), but L.A. export WundaBar uses its own patented version of the device. It does everything a reformer does but also features a chair and a ballet barre, and it can be used for jumping exercises. You’ll spend the whole 45-minute class on the machine, where you’ll do moves like planks, lunges and ballet-barre pulses. It’s Pilates at a cardio pace. Bonus: The studio donates proceeds from your first class to the Robin Hood Foundation. If you saw Wreck-it Ralph and thought, Damn, I want to be inside a video game!, this Upper East Side sweat palace has your number. 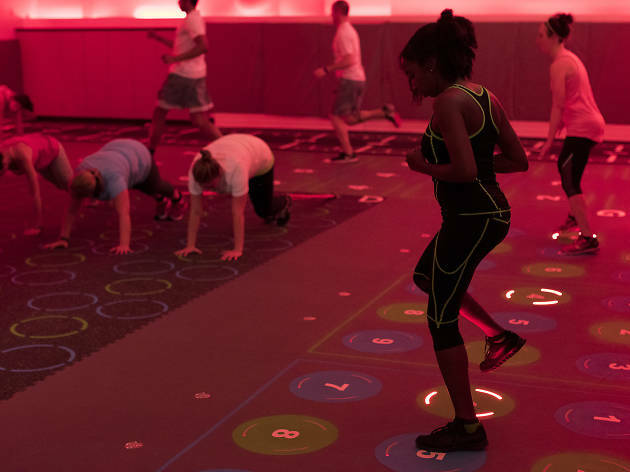 The class AG6 is a circuit-based workout that’s pretty much a 45-minute obstacle course with sensor-activated LED-lit walls and floors that illuminate as you jump and throw balls on them like targets in an arcade game. The fast-paced session includes medicine-ball slams, burpees, mountain climbers and other standard exercise-class movements actually made fun, thanks to all the sensory overload. No cuts, no buts, no coconuts! Looking for more fitness classes? Want to take boxing classes? 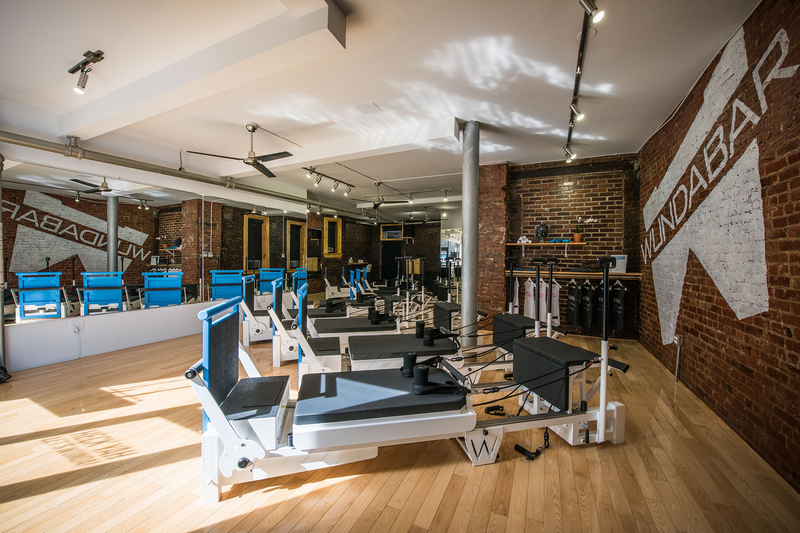 NYC has plenty of great studios where you can get in shape while working out aggression.